Meerkat stole the show at SXSW. Sorry, Twitter. This year, livestreaming startup Meerkat proved to be the coolest cat at SXSW despite a rough start at the hand of Twitter. The festival, attended by thousands of tech enthusiasts and early adopters, has famously been a launching pad for startups like Twitter (TWTR) and Foursquare over the years. The San Francisco-based startup launched mere weeks ago, on February 27. The livestreaming service lets users "meerkat" by downloading the free iOS app, which connects to a Twitter account (it's required to have one). Meerkat users can see who's watching and engage with them on the app. But just as the festival kicked off Friday, Twitter announced that it would limit Meerkat's access to its social graph. Twitter defended the move as "consistent with our internal policy" in an email statement. Twitter's integration was a huge part of Meerkat's appeal, since users could auto-follow Twitter connections on Meerkat and were notified when new Twitter friends joined. "We knew that this was a risk," said Ryan Cooley, Meerkat community director, who said they got two hours of advance notice from Twitter. "We didn't know it was going to happen so fast ... but business is business and we didn't realize they had acquired a competing company." The social media giant had quietly acquired Periscope, a mobile livestreaming service still in beta. Confirmation of the acquisition also came on Friday, in the form of a tweet from Periscope. On one hand, Cooley said they were "flattered" that Twitter felt they were enough competition to limit access. On the other hand, "it made us start to think critically about our product outside of Twitter." According to Brian Solis, analyst at Altimeter Group, the move could be an essential tipping point for Meerkat. "Its reliance on Twitter exposes a weakness for the app to maintain long-term scale," said Solis. "It needs to also ensure that content producers and content consumers find one another." Solis said this is one reason livestreaming hasn't been successful in the past. It "placed too great of an emphasis on the user to generate buzz and audience," he said. Meerkat needed to react swiftly. And it has. Meerkat's team of 11 has since built out an in-app search function and web landing pages to make it easy for users to find and follow each other. 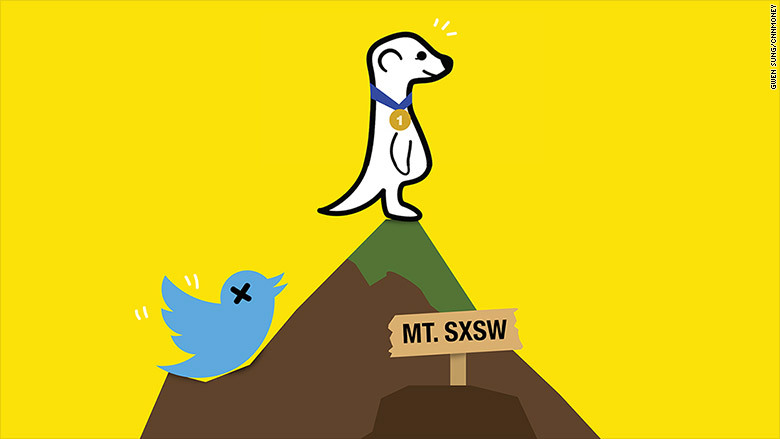 Twitter's cut-off far from crippled Meerkat during its critical first SXSW -- and it has the numbers to prove it. Since Friday, streams have grown between 20% to 30% each day. And its user base is growing as well: 40,000 new users joined Meerket on Monday and Tuesday. On Tuesday alone, there were 15,000 streams with more than 200,000 people tuning in to watch. It's currently one of the Apple app store's "Best New Apps." Not to mention its roster of high-profile candidates keeps growing, including Jimmy Fallon, who closed out a livestream this week with over 2,100 viewers. 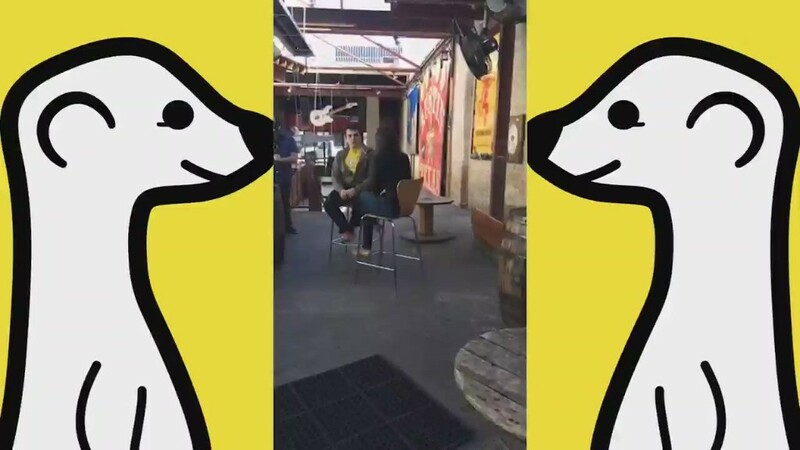 Many took to Meerkat to livestream their activities and whereabouts at SXSW, like Mashable founder and CEO Pete Cashmore who meerkated from the Mashable House party, garnering over 2,300 viewers. Michelle Phan livestreamed her panel with Lucky editor-in-chief Eva Chen (she said she immediately regretted not bringing along her selfie stick). According to Cooley, there's a host of other social graphs out there that Meerkat could potentially leverage -- from Instagram to Facebook (FB) Messenger to LinkedIn (LNKD) and Whatsapp. "Twitter's graph is not the be-all, end-all," said Cooley. "[It's] a great launch pad [but] we want to be our own independent network outside of just Twitter."